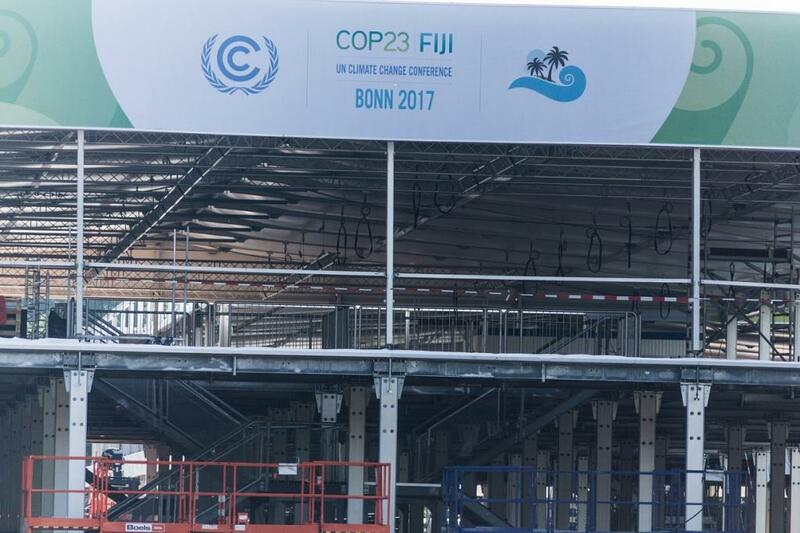 Unusually for a large UN climate conference, the recent Bonn talks didn’t finish with any late-night haggling. Progress, in the form of various commitments and pledges, is best described as slow and steady. Ahead of the conference, we made five suggestions of things that should happen but probably wouldn’t. They were: ditch fossil fuels entirely, pledge more aggressive emissions cuts, a big increase in climate funds for developing countries, rapid agreement on rules for implementing the Paris Agreement and that “fantasy technologies” that take carbon out of the atmosphere would be exposed as wishful thinking. We’ll look at how the conference did against our five proposed metrics, discuss “what next” for the UN’s climate process ahead of next year’s meeting, and then suggest five other things to keep a climate-related eye on. Well, there was fun news when the sole US event saw an executive from coal giant Peabody argue for “clean coal”. The audience sang a protest song and many then walked out. The major headline was the launch of the “Powering Past Coal Alliance”, led by the UK and Canada, with pledges by Mexico, New Zealand, Denmark and Angola, among others – 20 countries in all. This alliance pledged to phase out all coal-fired electricity (except that with Carbon Capture and Storage), although without a clear target date. Sceptics rightly point out that these countries weren’t burning much coal anyway and will continue to burn other fossil fuels. This last point stuck in the craw of Friends of the Earth UK, who pointed out that the UK is simultaneously giving the green light to fracking, a whole new fossil fuel industry which, despite the gas industry’s claims, is not compatible with climate commitments. Didn’t happen (that sound is the authors sighing smugly but wearily). The issue “flared up”, and was defused with a promise of a “stock-take” of action over the next two years. Also didn’t happen. Indeed, climate finance caused such conflict that things threatened to boil over and cause the talks to collapse entirely. The poorer countries wanted to know what they will get and when (to help with planning). According to a Guardian report, the richer countries professed that they were not unwilling, but that making promises on behalf of future governments is legally complex. skeleton: a set of headings relating to how action on emissions is reported and monitored. Nations have also fleshed this out with suggested detailed texts, but these are often contradictory and will need to be resolved next year. There will now be an additional meeting in 2018 before the next COP to make sure the Paris rule book gets finished on time. Nope. While the Powering Past Coal people pledged, four events promoting carbon capture and storage were held over a three-day period. Meanwhile other issues, such as oceans, adaptation, and loss and damage have “drifted into obscurity”. Everyone has their own opinions on what needs to happen over the next year, in the lead up to COP24 in Poland. There will be the “Talanoa dialogue” – named after a traditional word used in Fiji and the Pacific to reflect a process of inclusive, participatory and transparent dialogue – around how everyone is doing on their long-term commitments. Meanwhile, next September will see the launch of an IPCC report on what would need to be done to limit global warming to 1.5℃ (hint: change some laws – primarily laws of physics). a) Will US states and cities put their money where their mouths are? As part of “America’s Pledge”, 20 US states, more than 50 of its largest cities and more than 60 of its biggest businesses have committed to emissions-reduction goals. If this materialises, it could negate Trump’s “fossil fuels forever” strategy. b) What happens with the EU? The German chancellor, Angela Merkel – criticised by George Monbiot as “the world’s leading eco-vandal” due to a series of industry-friendly interventions – has teamed up with Emmanuel Macron to reform the much-criticised EU Emissions Trading Scheme. At the same time, European strategy may be compromised – not only by Brexit, but by the vacuum of a potential post-Merkel era of German leadership. Meanwhile, will the “Europe Beyond Coal” campaign score big wins? c) China (of course) The Chinese didn’t make an expected announcement on their own emissions trading scheme at Bonn, but it’s coming soon. Meanwhile, an influential Chinese advisory body is pushing for no new coal plants to be approved, alongside a boost to the official 2020 solar target. China, it seems, is leading the renewables revolution. d) Coal’s death spiral With encouragement from US billionaire Michael Bloomberg, more organisations will divest from coal, accelerating its decline, with renewables increasing their market share (from a very low baseline). The announcements from the Powering Past Coal Alliance might help nudge this further. e) Physical impacts Emissions are climbing again, after a reported plateau. The Arctic is warming up faster than climate models had predicted, and the Australian summer may be unusually warm and dry. So we can no doubt expect to see more articles which ask how we can make the most of things if indeed “it is too late” to save the world from climate change. Did developing countries miss the trick at Bonn?